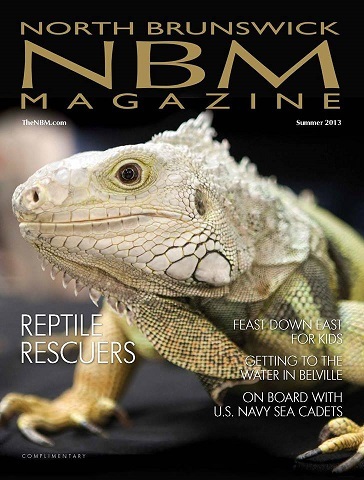 Home › Reptile Rescue › We’re Famous!! That’s my girl Wilma on the front cover of the North Brunswick Magazine!! The magazine did a whole big article on the rescue. You can see all of us in the article and learn about what we do at the rescue. Go here to read the article completely online! Or if you are local, pick up a copy in town! Shamus, you didn’t mention that your handsome self is on pages 57, 59, and 63 and that your mom and human brother Hunter are on pages 57 and page 61! You’re so modest!